Sunflower, pumpkin, and sesame seeds are generously kneaded into our honey whole wheat dough for a crunchy, hearty, and flavorful bread. Seriously, this stuff makes the best sandwich you'll ever try! 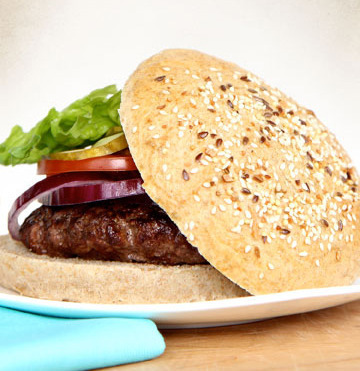 Take one home today and we'll give you a six-pack of our handcrafted hamburger buns for FREE!! !